What is lace locking? 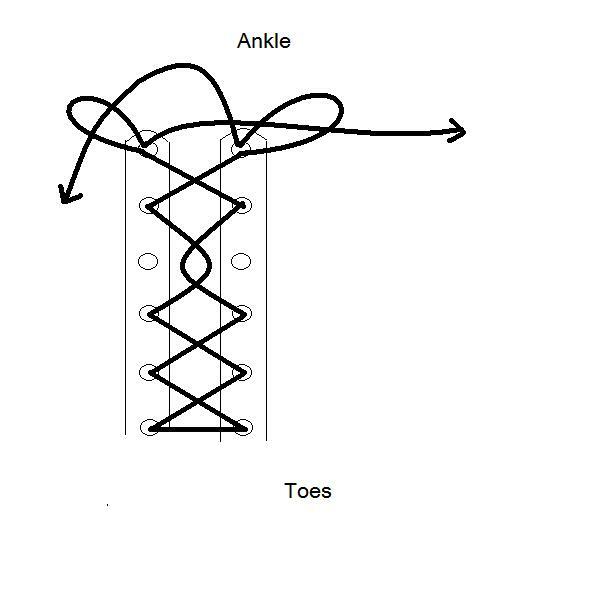 How to lace shoes without numb toes? How do you do lace locking? 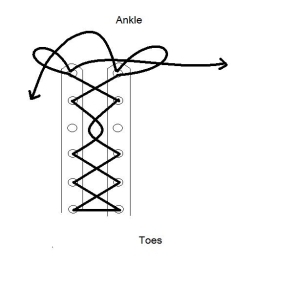 How to lace shoes to avoid numb toes? Lace locking your shoes can to help prevent numb toes and also to prevent your heel slipping out of your shoe. 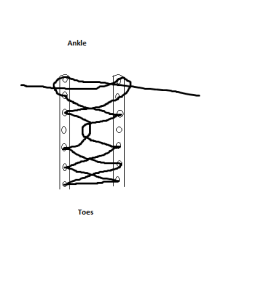 Begin lacing your shoes normally until about the 3rd hole and then miss one hole, as shown in the diagram above. This will take some pressure off the top of your foot and help to prevent numb toes. Continue lacing as normal, when you reach the last hole go through the same hole twice and then cross the laces over and thread them through the loop that has been made. If your shoes have an extra hole at the top, follow the above steps until you get to the second last hole. Once you have threaded the shoe lace through the second last hole, then thread it through the hole directly above. 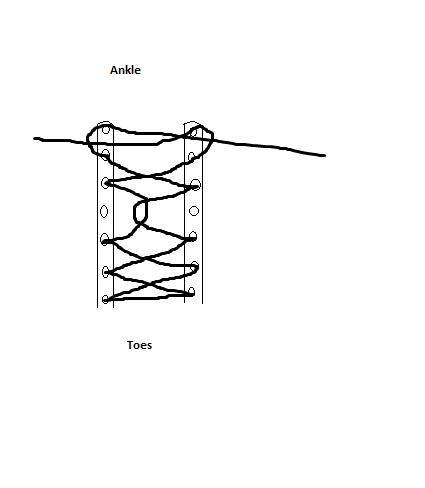 Once you have done this to both side, cross the laces over and thread them through through the vertical section of lace.